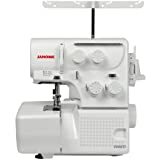 Put Juki industrial sewing machine technology to work in your home. 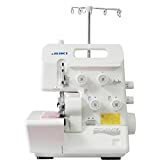 Juki’s know how incorporated powerful, dedicated drive cutting system, ease of use and high quality stitch formation in their household use sergers. 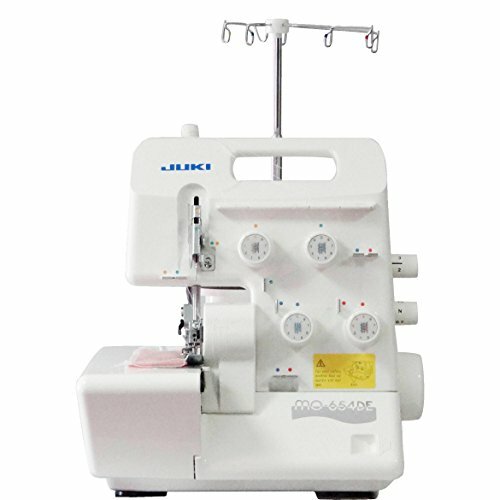 Convertible 2/3/4 thread serging with automatic rolled hem capability. Color coded threading and breakaway looper for easy, correct threading. The upper knife moves out of the way for safe and easy threading access. Stitch length and differential feed adjustments are located on the outside of the machine for ease of use. The knife adjustment is calibrated for project to project consistency. 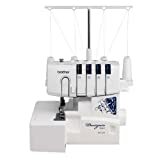 This machine comes with a multi purpose foot for sewing a wide variety of stitches and products including tape, and elastic. 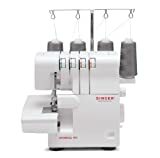 Safety features include a micro-safety switch to lock out the machine motor when the side cover is open for threading. Wide variety of optional presser feet available for cording, blind stitch, piping, gathering, etc.